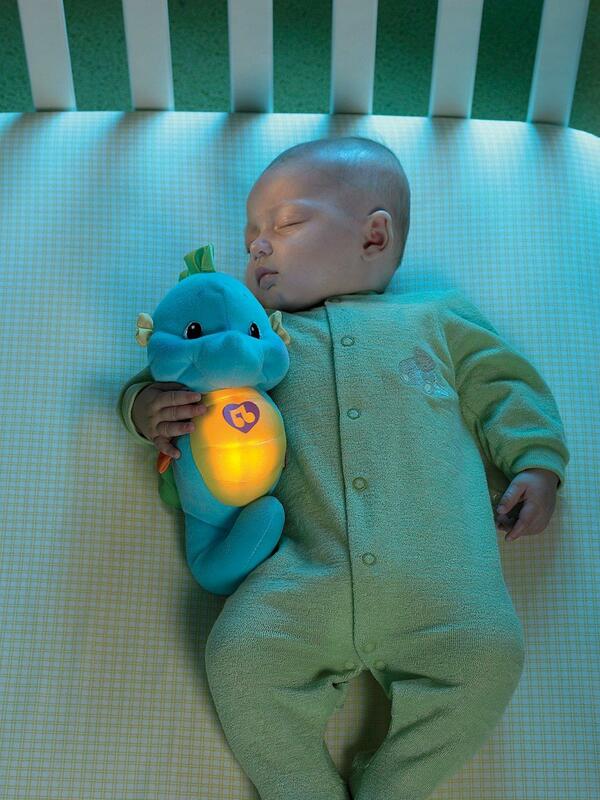 Soothe & Glow Seahorse is a wonderful nighttime friend for baby. 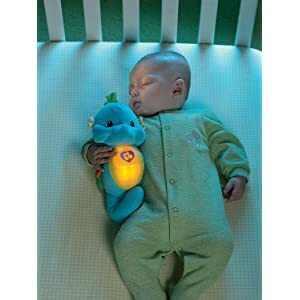 When the Soothe & Glow Seahorse is cuddled, his belly gently glows and he plays over 5 minutes of music and ocean sounds. The music is comprised of 8 gentle lullabies and classical selections, along with soothing sounds of the sea – which include 2 ocean tracks. After 5 minutes, the sounds and lights will gently fade out so as not to disturb baby. Soothe & Glow Seahorse is a bedtime favorite! The Seahorse sounds and lights are mom controlled for quiet play - mom can choose low or high volume or turn off altogether. Comes in an adorable pink or blue color perfect for your little girl or boy. Sized just right for baby to hug, the Soothe & Glow Seahorse is a soft & cuddly addition to any crib and will help baby fall right asleep! Soothe & entertain baby with underwater sensations! 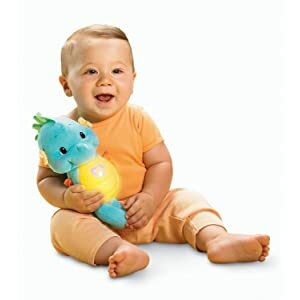 With the natural, soothing sounds of ocean waves Fisher-Price’s Ocean Wonders toys bring the wondrous effects of the ocean to baby. ..every day! 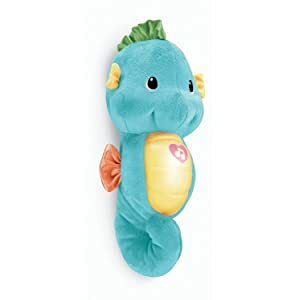 The Soothe & Glow Seahorse is ideal for quiet-time play and for soothing baby to sleep while promoting comfort & security.